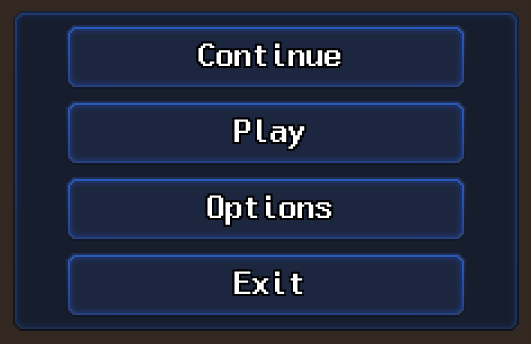 The leftmost is a panel or button. Second one is a tab. Third and fourth are generic containers when I need to “group” or select elements. I will likely need more, but these are versatile enough for like 90% of cases. 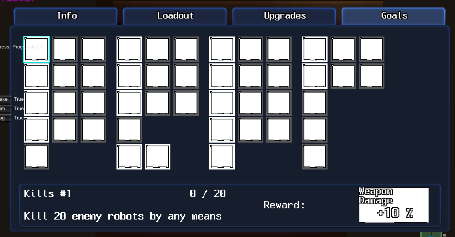 I can also always update UI with new sprites as they will share the same layout. As with everything, I want to be able to quickly adjust things. This includes my “art”. That means all the repeated graphics are Photoshop’s smart objects, which just means I am working with prefab-like logic. In short, I can modify every part of the design. This is a very “programmer” approach to all of this, but it makes my changes fast. I can change the color or gradient direction or border thickness with a few quick edits. 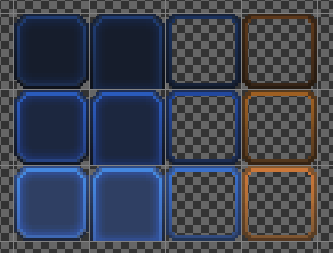 In Unity, these get 9-sliced, so that they can resize nicely to any size and I don’t need to worry about them. 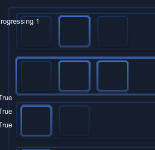 Now, before I can actually use these in-game, I have to make a serious UI decision about the UI canvas size I am using. The game is pixel art and my HUD is already 2×2 pixels for each pixel, so to speak. I mean it’s all 200% zoomed at the moment. So I might as well make that the default canvas size instead of manually drawing all items at 200%. This comes from my legacy canvas logic, where everything was 1:1. Now I “just” have to fix every single panel. I will talk about modularity of my UI in the next post. For now, I will just show where I am heading with these and how they even look as a proof of concept. Yeah, the screenshots are huge and I am not resizing them because they are at their native resolution that way and not resampled where they lose the sharpness. The work’s very slow and tedious. It’s visual, but it’s also sprites done by myself, so it’s hardly amazing. The time I spend moving and anchoring and shifting UI elements really adds up. But I’m slowly working through all the panels.